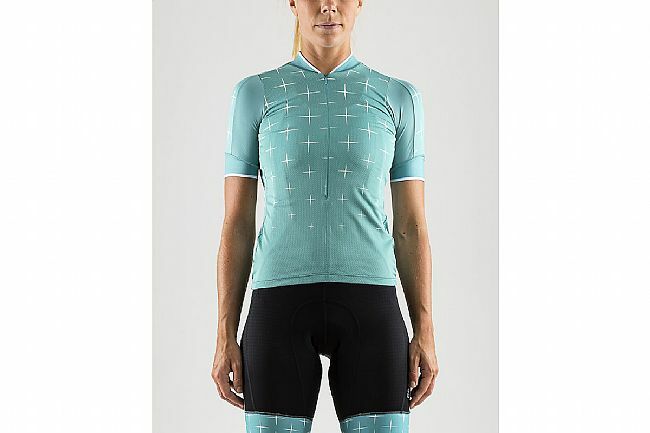 The Women’s Belle Glow Jersey from Craft features short sleeves, a 3/4-length front zipper, and light, moisture-wicking micro polyester fabric that promotes dryness and regulates body temperature. 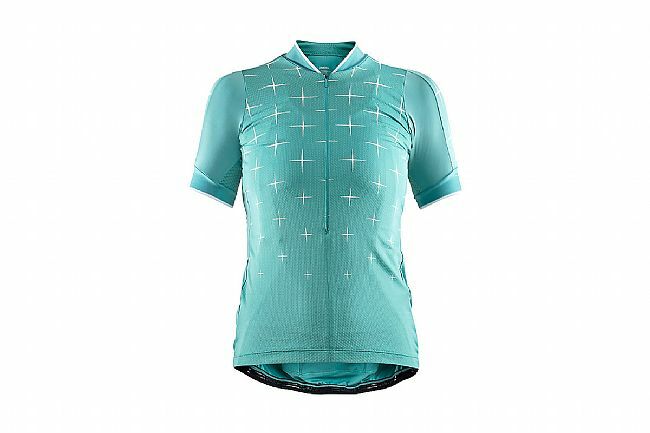 Strategically integrated Mesh Superlight inserts further enhance this jersey's overall breathability. An ergonomic, bike-position fit ensures up-most comfort from the beginning of a ride to the very end. 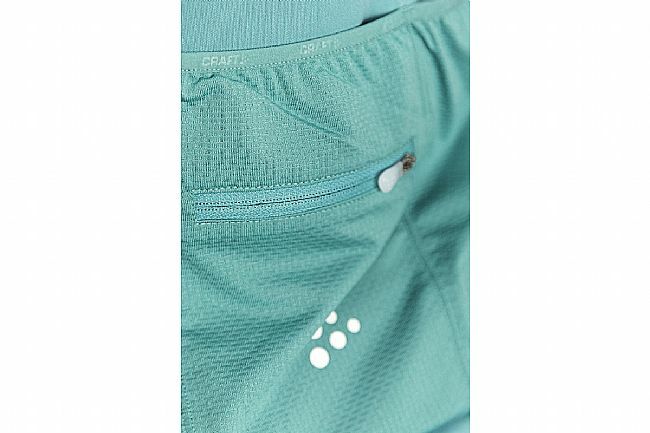 Four rear pockets with offer convenient small item storage. 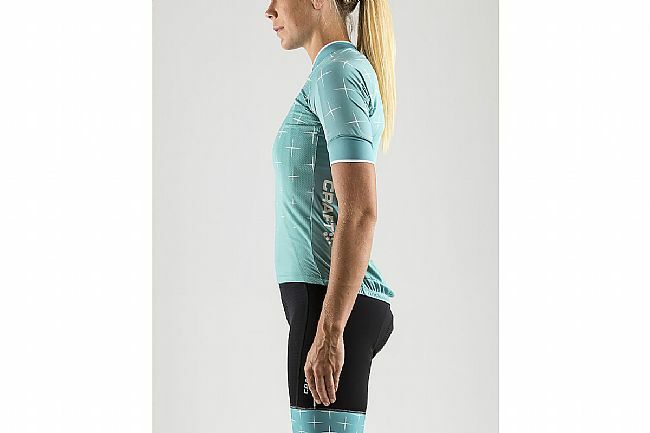 Elastic fabric at shoulders and sides enhance comfort and fit. UPF50+ at shoulders, back, and side panels. Mesh Superlight at hot spots for cooling and moisture transport. Earphone port in back pocket. 4 back pockets (one zippered). Silicone anchors at hem and arms.